Siobhan began her career as a Young Artist at the Salzburg Festival (2013) and at the Deutsche Oper Berlin (2013 – 2015). As word of her talent spread across Europe, Siobhan was quickly engaged for important debuts at the Hamburg State Opera, Berliner Philharmoniker, Bayerische Staatsoper, Grand Théâtre de Genève, Dutch National Opera (Amsterdam), BBC Proms and London’s Royal Opera House Covent Garden, among others. Siobhan Stagg as Pamina in Die Zauberflöte, Royal Opera House Covent Garden, September 2017. Photo © Tristram Kenton. In 2019 Siobhan is Artist-in-Association with the West Australian Symphony Orchestra. She remains a principal soloist at the Deutsche Oper Berlin, performing Adele Die Fledermaus, Gilda Rigoletto and Micaëla Carmen. Other current highlights include Pamina at the Hamburg State Opera, Sophie in Der Rosenkavalier at Opernhaus Zürich, a return to the Salzburg Festival and a debut at Festival Aix-en-Provence. For more information, please contact ASKONAS HOLT. Siobhan Stagg as Cinderella at the Lyric Opera of Chicago, 2018/19. Photo (c) Todd Rosenberg. (c) Biography not to be reproduced without authorised permission from Askonas Holt, Ltd. All details correct and current at March 2019. Siobhan won the Richard Strauss Prize at the International Mozart Competition in 2014. Upon completing her formal studies in June 2013, Siobhan was immediately taken into the Salzburg Festival’s Young Singers Project where she performed the roles of Konstanze in Die Entführung aus dem Serail and Pamina in Die Zauberflöte für Kinder. She also sang the role of Saint Catherine in a critically-acclaimed concert performance of Braunfel’s Jeanne D’Arc with the ORF Vienna Radio Symphony Orchestra and conductor Manfred Honeck. Following her time in Salzburg, Siobhan joined the Deutsche Oper Berlin as a young artist in 2013/14 and made her debut singing the Woodbird (Siegfried) and Woglinde (Das Rheingold) in the Ring Cycle conducted by Sir Simon Rattle. After early success with roles including Pamina in Die Zauberflöte and Sophie in Werther, Siobhan was invited to stay on at the Deutsche Oper Berlin; the theatre which has now become her ‘artistic home’ and base between guest engagements. Over subsequent seasons in Berlin, Siobhan sang Sophie Der Rosenkavalier, Sophie Werther, Micaëla Carmen, Gilda Rigoletto, Marguerite Les Huguenots, Musetta La Boheme, Zerlina Don Giovanni, Contessa di Folleville in Il Viaggio a Reims, as well as reprising her signature role as Pamina Die Zauberflöte. During her first season as young artist in Berlin, Siobhan also made her debut at the Hamburg State Opera as Cordelia in Aribert Reimann’s Lear, conducted by Simone Young and now released on DVD. The same year, Siobhan stepped in as Woglinde in REIN GOLD at the Berlin State Opera, and performed arias with the Moscow Philharmonic Orchestra under Maestro Alfred Eschwe. Siobhan singing Brahms’ Requiem with Christian Thielemann and the Berliner Philharmoniker, January 2015. As word of her talent spread across Europe, Siobhan’s big break came in January 2015 when she was chosen to step-in for Brahms’ Requiem with Christian Thielemann and the Berliner Philharmoniker for three sold-out concerts and a live worldwide broadcast. Siobhan was praised for her heavenly vocal qualities, ‘reminiscent of the incomparable Gundula Janowitz.’ You can read the reviews here, or watch a sample of Siobhan’s acclaimed performance on youtube. In 2014/15, Siobhan was re-invited to the Hamburg State Opera to sing Blonde in Entführung aus dem Serail with conductor Kristiina Poska. She performed the role of Dede in Bernstein’s A Quiet Place with Kent Nagano and Ensemble Modern, and created the role of Marzelline for a new production of Fidelio in Geneva. In an extraordinary turn of events, Siobhan was flown to London at short notice to take over the title role in Keith Warner’s production of Orpheus (Luigi Rossi) for the Royal Opera House, which played in the Sam Wanamaker Playhouse at Shakespeare’s Globe (London) in October 2015. Read the rave reviews here. After this welcome reception to London audiences, Siobhan made her BBC Proms debut at the Royal Albert Hall in 2016, and returned to the Royal Opera House as Pamina Die Zauberflöte with a live cinema broadcast in September 2017. Other highlights included touring Australia as guest artist with Roberto Alagna (Sydney Opera House, Melbourne Arts Centre and Brisbane Convention Centre), and guest engagements in Amsterdam (Dutch National Opera), Munich (Gärtnerplatz Theatre and Bayerische Staatsoper), Vienna (Haydn Festival), Paris Philharmonie and on-tour through France with Christophe Rousset and Les Talens Lyriques. She appears on the new recording of La Rondine with the Münchner Rundfunkorchester conducted by Ivan Repusic. Siobhan is in demand as an opera and concert artist, working with conductors including Sir Simon Rattle, Sir Andrew Davis, Christian Thielemann, Simone Young, Donald Runnicles, Nathalie Stutzmann, Christophe Rousset, Jeremie Rhorer, Christian Curnyn, Stephen Layton, Lothar Koenigs, Kent Nagano, Fabio Luisi, Raphaël Pichon and Philippe Herreweghe. 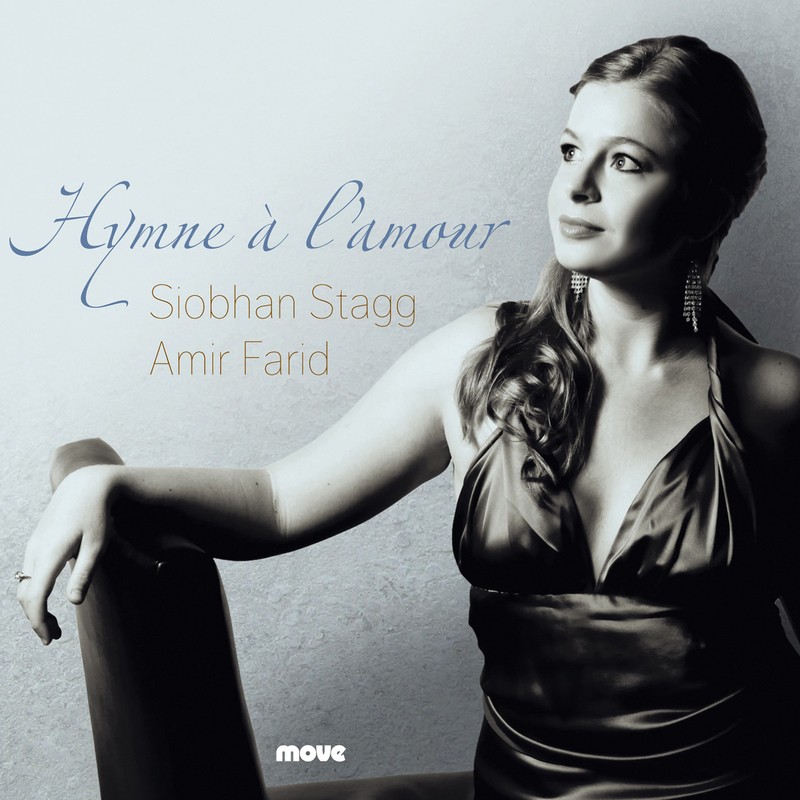 Siobhan enjoyed success in several major singing competitions, namely the 2014 Belvedere Singing Competition where she won the Prize of the International Media-Jury, and the 2014 International Mozart Competition in Salzburg, where she was also awarded the Special Prize for Best Interpretation of a Strauss song. A sample of Siobhan’s prize-winning performance is now available on youtube. Siobhan also won many prizes and awards while still a student, including First Prize in the Stuart Burrows International Voice Award in Wales (2013), First Prize and the Audience Choice Award in the Mietta Song Competition in Melbourne (2012), the Italian Opera Foundation Award in Sydney (2012), and the Australian International Opera Award (2012). In 2011 she won the jury’s First Prize and the Audience Choice Award at the Meistersinger Vocal Competition in Graz, Austria, as well as MWMC ‘Singer of the Year’ competition in Melbourne. Siobhan’s star continues to rise in Australia. She was nominated for Best Australian Artist in the 2015 Limelight Awards. While still a student in 2013, her debut Lieder-album ‘Hymne à l’amour’ was nominated for Best Classical Album in the Australian Independent Music Awards. Siobhan is in demand with all the state symphony orchestras and performed regularly as part of the Melbourne Recital Centre’s ‘Local Heroes’ concert series. Siobhan was born on the 16th of September 1987 and grew up in the town of Mildura in regional Victoria (Australia). She graduated from the University of Melbourne with a Bachelor of Music (Honours) (2009) and Master of Music Performance (2012) before earning her Master of Advanced Vocal Technique from the Wales International Academy of Voice in Cardiff (June 2013). She also studied privately in New York, Austria and Italy. Her studies were generously supported by scholarships including the Australian International Opera Award (2012), Amelia Joscelyne Memorial Scholarship from the Dame Nellie Melba Opera Trust (2009-2012), Italian Opera Foundation Award (2012), Tait Memorial Foundation Prize (2012), Opera Foundation Australia’s AIMS Award and AIMS Sundell Study Prize (2011), Acclaim/Rotary Sleath Lowrey Vocal Scholarship and B’nai Brith Harold Fisher Prize (2011) and several other scholarships from the Faculty of Music and Trinity College at the University of Melbourne (2007-2012). Siobhan is a versatile recording artist and features on La Compania‘s critically-acclaimed new release, ‘Ay Portugal’. She sang two tracks on the 2011 ARIA-nominated debut album of baroque trio, Latitude 37, and recorded the lead vocal in a contemporary soundscape by Felix Riebl (frontman of The Cat Empire) for broadcast during Sydney’s 2012 Australia Day fireworks celebration on Darling Harbour. Prior to pursuing her solo career, Siobhan was a choral scholar with the Choir of Trinity College, touring with them to Germany, Hong Kong and the UK (2010), USA and New Zealand (2008), Malaysia and Singapore (2007). She is soloist on several of the choir’s albums released through ABC Classics. Siobhan was a founding member of the Melbourne Art Song Collective (MASC), the Consort of Melbourne and youth opera initiative Opera Down Under. Whilst a student, Siobhan completed a Certificate III in Media (Broadcasting) and has worked as a producer at 3MBS radio station in Melbourne. For details of Siobhan’s upcoming engagements, please see the events page. Read what the critics think of Siobhan’s performances on the reviews page. (c) Biography not to be reproduced without authorized permission from siobhanstagg.com.au. All details correct and current at March 2019.